TED-Ed Weekend = student voices, amplified! TED-Ed Weekend is just like the official TED conference, except for one thing: it’s dedicated to student voice. At the June 2017 TED-Ed Weekend, thousands of people tuned in via the livestream and Facebook Live to watch students take the mic at TED Headquarters in New York City. On stage, students shared ideas about everything from ADHD and the human mind, to solar energy and ocean clean-up. Off stage, students participated in hands-on workshops about creativity, VR, and animation. If you missed this TED-Ed Weekend, don’t worry! There will be future opportunities to get involved in amplifying student voice. 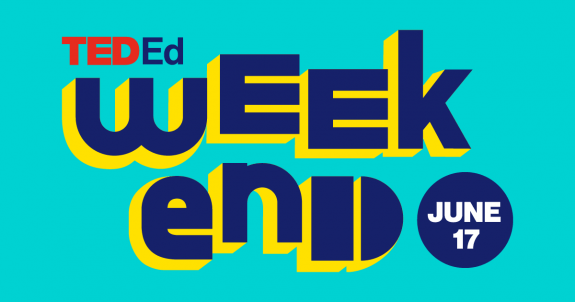 Each TED-Ed Weekend event features an amazing lineup of student speakers from around the globe. In addition to sharing ideas, student attendees have the opportunity to connect with experts, learn valuable new skills, explore ideas that matter, join hands-on media and animation workshops, and form lasting friendships within the global TED student community. Questions about how to get involved with the next TED-Ed Weekend event? Email us at tededweekends@ted.com.